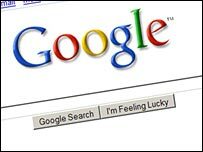 Google has refused to deny mounting speculation that it is working to produce its own brand mobile phone. Reports suggest that the web giant is developing a series of"GPhones", centred on its mobile services, such as search, e-mail and maps. In a statement, Google said it was working with carriers, phone makers and content providers to "bring its services to users everywhere". The firm would not say if its efforts included plans for a handset. The Google statement said: "What our users and partners are telling us is that they want Google search and Google applications on mobile, and we are working hard every day to deliver that." Google has recently partnered with Apple to produce services, such as e-mail and maps, for its iPhone handset. Eric Schmidt, Google's chief executive, said recently that more Google services for the iPhone would be rolled out. Reports have circulated since last year that Google was working with mobile phone manufacturers to produce a handset. The Wall Street Journal on Thursday said Google had invested "hundreds of millions of dollars" in the project and was involved in discussions with T-Mobile USA and Verizon Wireless. The newspaper said the company was seeking to grab a bigger slice of the increasingly important mobile phone advertising market. Market research firm eMarketer told the paper that the mobile ad industry would be worth $14bn (£7bn) by 2011. Last month, Google said it was interested in bidding for wireless spectrum licences in the US, which could be the first step towards running its own mobile network. Google said its interest was in ensuring that customers would be able to buy any mobile device to connect to the full capability of the internet. At present, wireless carriers routinely try to restrict which models of cell phones that can be used on their networks. They also often limit the software that can be downloaded onto them, such as ringtones, music or web browser software.